Our brain is an extraordinary apparatus. It is amazing how we humans can instantaneously perceive shapes, objects, forms. For e.g. when see a scene with many objects we are immediately able to identify the different objects in the scene. View this against the backdrop of a recent Google’s artificial brain experiment of a neural network with 16000 processors and a billion connections. This artificial brain was fed with 10 million thumbnails of you tube videos before it was able to recognize cat videos. That’s an awful lot of work to recognize cat videos! We can see that a lot of work involved getting a computer to do something as simple thing as this. Consider how a baby learns to recognize objects for e.g. cat, dog, toy etc. The human brain does not try to measure the number of eyes, spacing between the eyes, the mouth shape of face etc. The brain immediately is able to distinguish the different animals. How does it do it? Amazing right? In any case here is a machine learning algorithm that is capable of identifying structure in data. This is also known as K-Means and is a form of unsupervised learning algorithm. The K-Means algorithm takes as input an unlabeled data set and identifies groups in the set. It tries to determine structure in the data set. It is readily obvious that there are 2 clusters in the above diagram. However to the computer this is just a random set of points. How does the K-Means cluster identify the clusters in the above diagram? The algorithm is fairly simply and intuitive. 2) We then associate each centroid with the points in the dataset that are closest to it. 3) We then compute the average of each group of associated points in the centroid and move the centroid to that average. However there can be occasions where the K-means cluster would get stuck in local optima. To choose optimum cluster centroid we have to determine the least cost. This can be done with the optimization objective. K-Mean cluster determination is the problem of minimizing the distance of each point from its centroid. This is also known as the K-Means cost function or distortion function. I like to visualize the algorithm as follows. 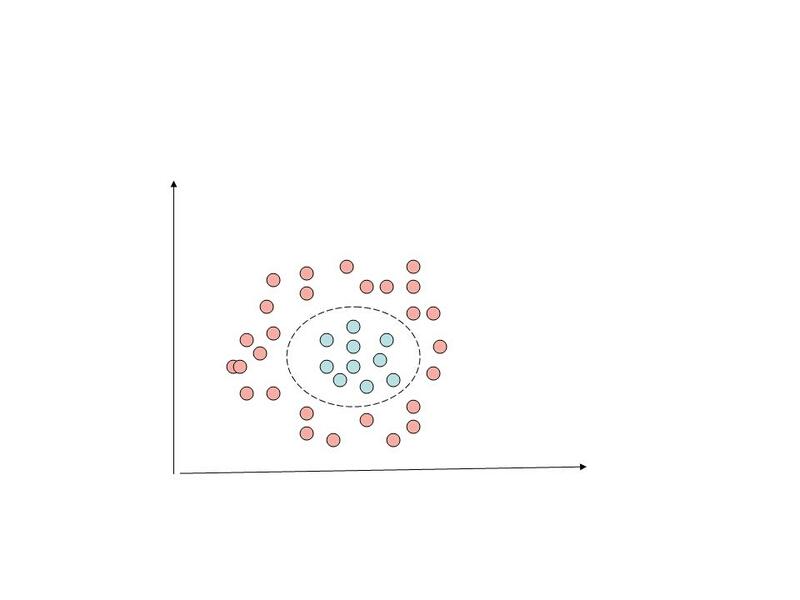 In step 1 we can visualize that there is a force of attraction between the datapoints and the cluster centroid based on proximity of the centroid. 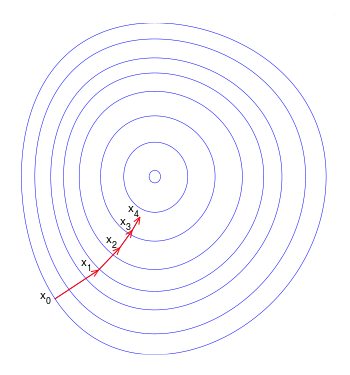 In step 2 we can visualize that each datapoint attracts the centroid towards it. The centroid moves to the point where the attraction among all the datapoints balances out. This is average mean squared difference. As can be seen the objective is to determine the average of the mean squared error of each data point to its closest centroid. Given a set of data points how we choose the random centroids? One way is to initially pick some random data points themselves as the cluster centroid. The algorithm is then iterated to identify the real cluster centroids. There is also the problem of determining the number of cluster centroids. How we to determine how many clusters are would be there in a random data set? Visually we can easily identify the number of clusters. But a machine cannot. 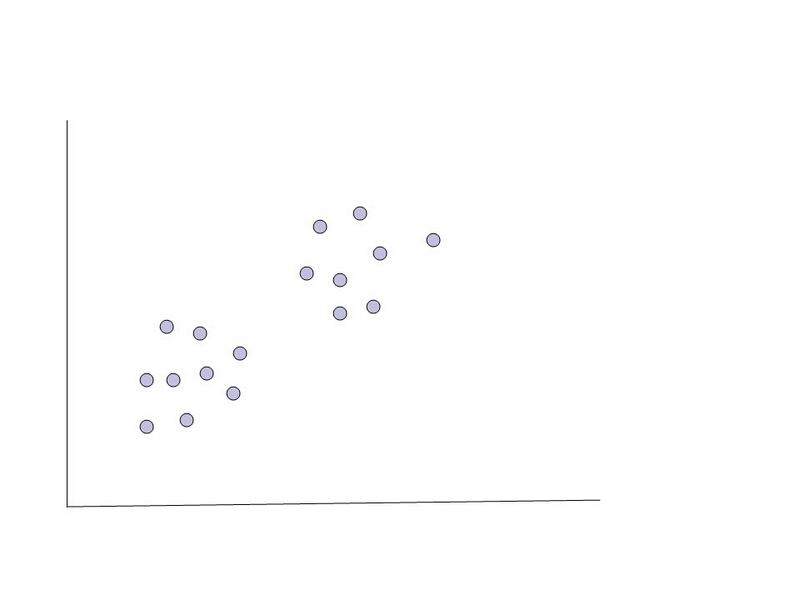 One technique that can be used to determine the number of clusters is as follows. 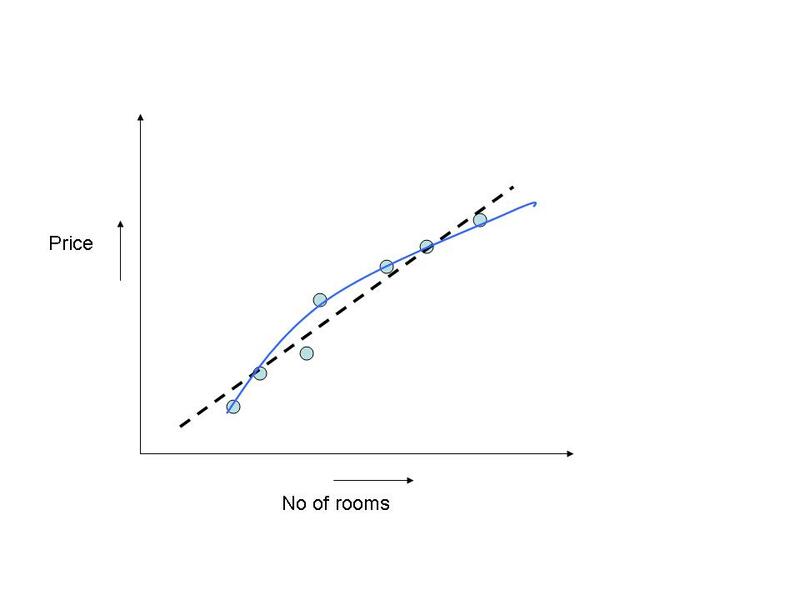 Start with 2, 3… 10 clusters and plot the cost function. Then pick the one with the least cost. 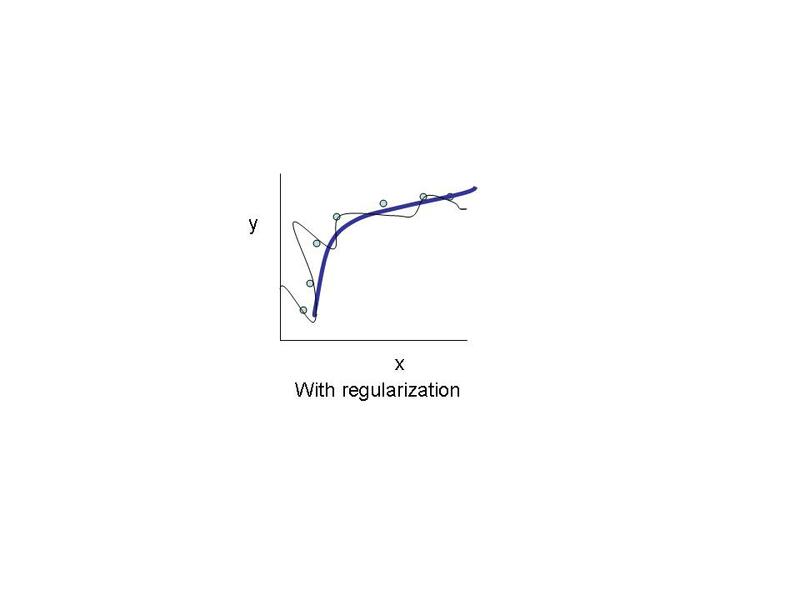 Logistic regression is another class of Machine Learning algorithms which comes under supervised learning. In this regression technique we need to classify data. Take a look at my earlier post Simplifying Machine Learning algorithms – Part 1 I had discussed linear regression. 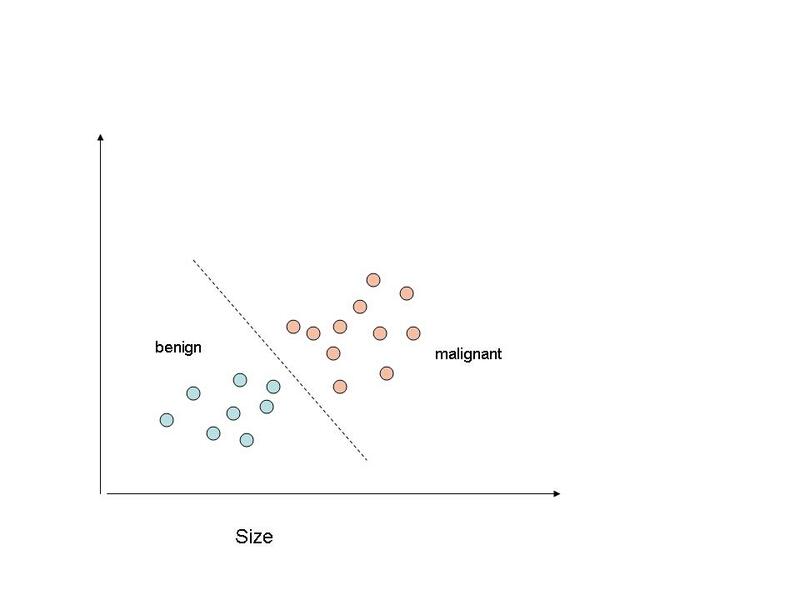 For e.g if we had data on tumor sizes versus the fact that the tumor was benign or malignant, the question is whether given a tumor size we can predict whether this tumor would be benign or cancerous. So we need to have the ability to classify this data. 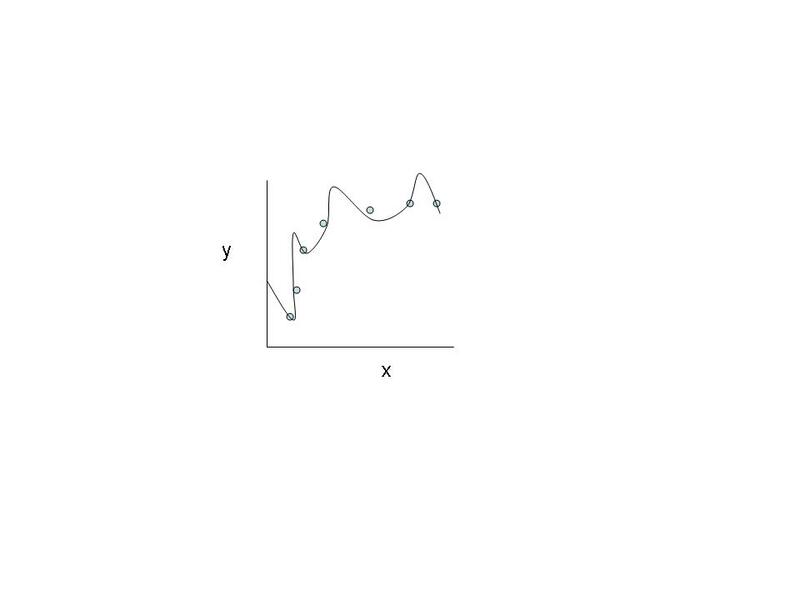 It is obvious that a line with a certain slope could easily separate the two. As another example we could have an algorithm that is able to automatically classify mail as either spam or not spam based on the subject line. So for e.g if the subject line had words like medicine, prize, lottery etc we could with a fair degree of probability classify this as spam. However some classification problems could be far more complex. We may need to classify another problem as shown below. From the above it can be seen that hypothesis function is second order equation which is either a circle or an ellipse. 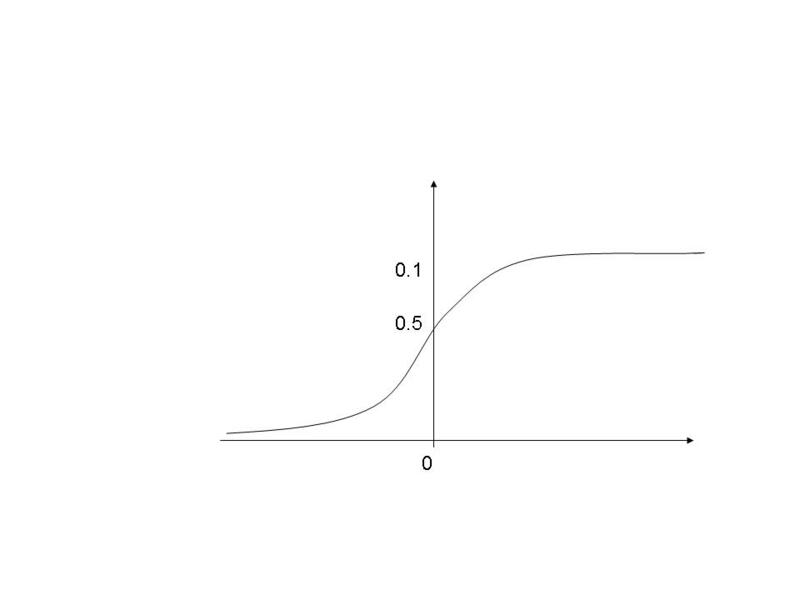 In the case of logistic regression the hypothesis function should be able to switch between 2 values 0 or 1 almost like a transistor either being in cutoff or in saturation state. In the case of regression there was a single cost function which could determine the error of the data against the predicted value. The cost in the event of logistic regression is given as above as a set of 2 equations one for the case where the data is 1 and another for the case where the data is 0. The reason for this is as follows. 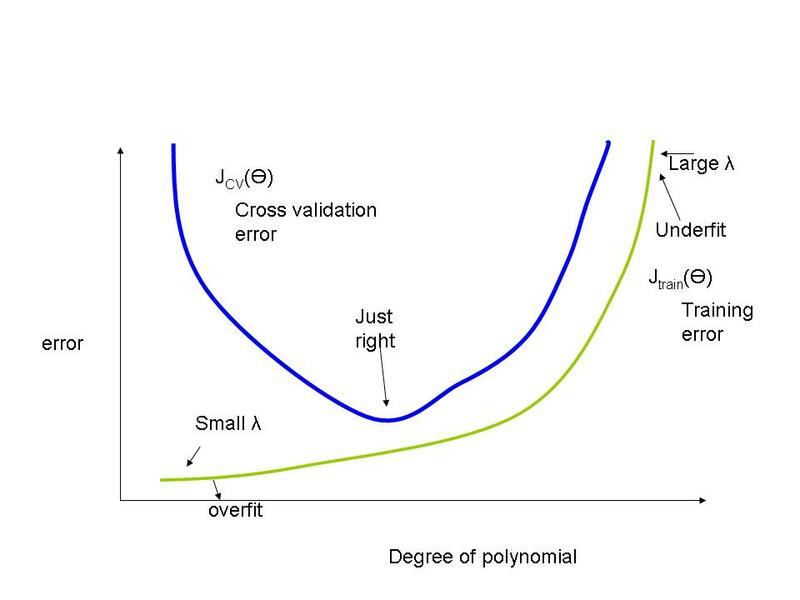 If we consider y =1 as a positive value, then when our hypothesis correctly predicts 1 then we have a ‘true positive’ however if we predict 0 when it should be 1 then we have a false negative. Similarly when the data is 0 and we predict a 1 then this is the case of a false positive and if we correctly predict 0 when it is 0 it is true negative. Was arrived at. By definition the cost function gives the error between the predicted value and the data value. This will enable the machine to fairly accurately determine the parameters Ɵj for the features x and provide the hypothesis function. This is based on the Coursera course on Machine Learning by Professor Andrew Ng. Highly recommended!!! 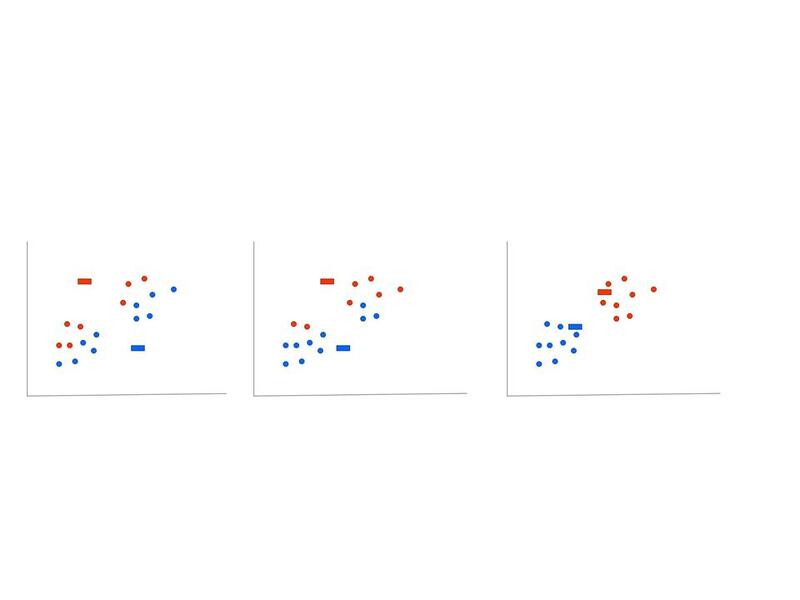 Machine learning or the ability to use computers to predict values, classify data or identify patterns is truly a fascinating field. It is amazing how algorithms can come to conclusions on data. Detecting patterns is a inborn ability of the human mind. But our mind cannot handle large quantities of data with many features. It is here that machines have an edge over us. This post is inspired by the Machine Learning course at Coursera conducted by Professor Andrew Ng of Stanford. The lectures are truly lucid and delivered with amazing clarity. 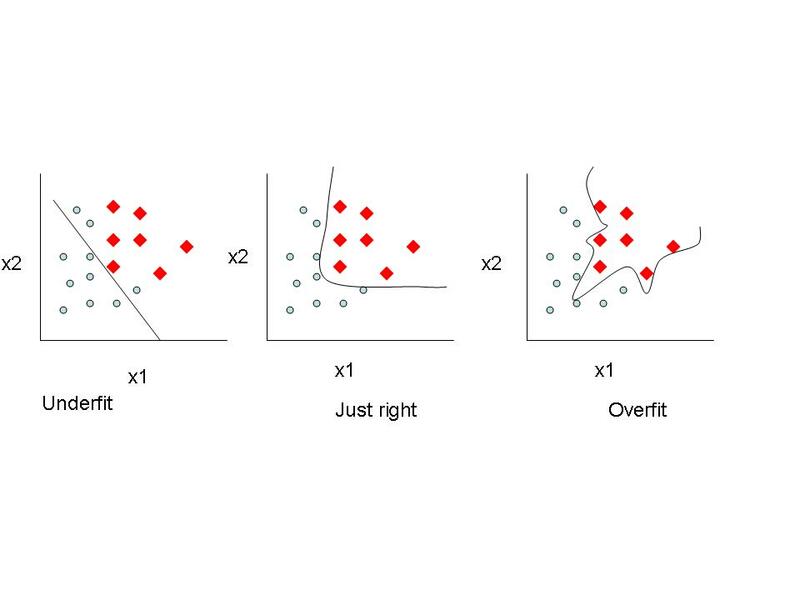 In a series of post I will be trying to distil the meaning and motivation behind the algorithms that are part of machine learning. 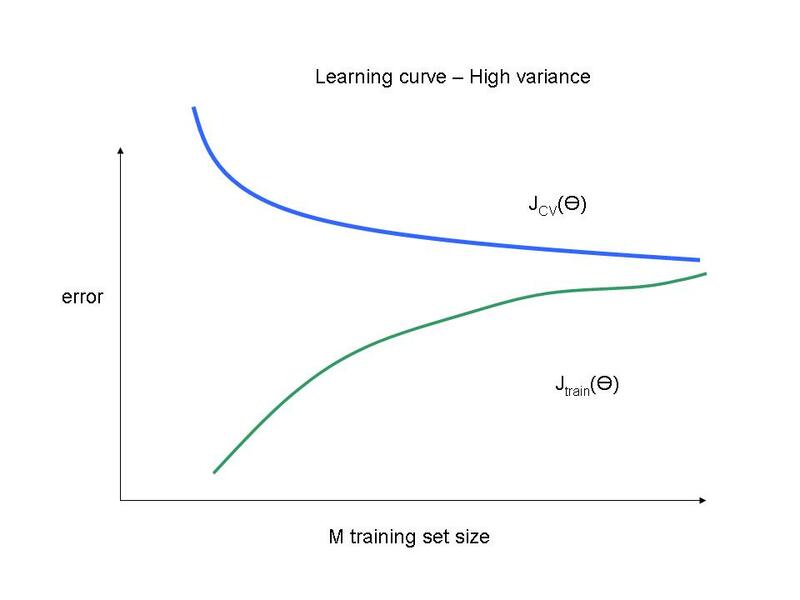 Supervised learning: In supervised learning we have to infer the relationship between input data and output values. The intention of supervised learning is determine the possible out for some random input once the relationship has been determined. 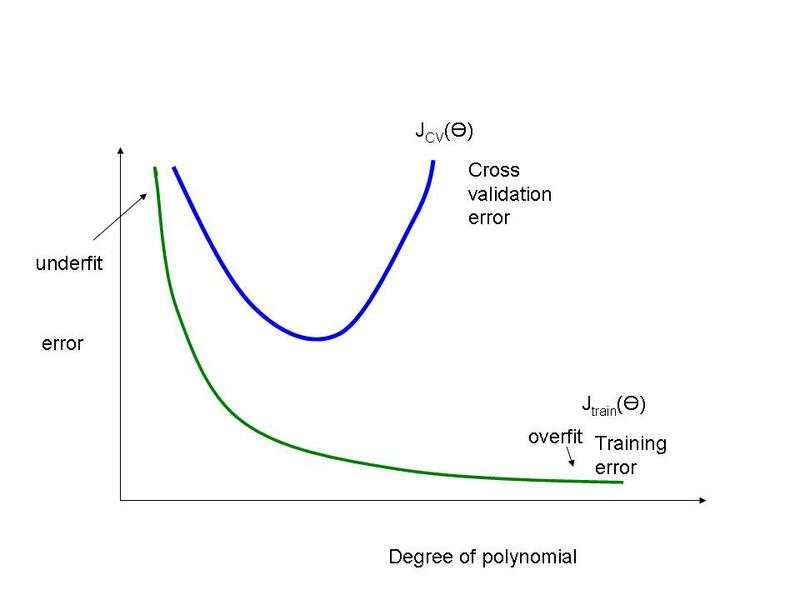 Some examples of supervised learning are linear regression, logistic regression etc. Unsupervised learning: In unsupervised learning the problem is to determine patterns and structure in unlabeled data. 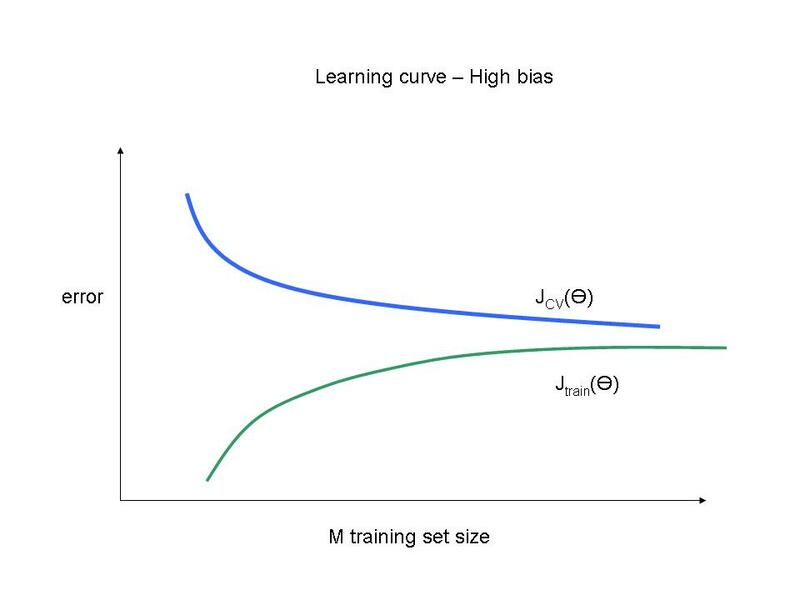 Some examples of unsupervised learning are K-Means clustering, hidden Markov models etc. Depending on the data we could either fit a straight line or use a linear fit. 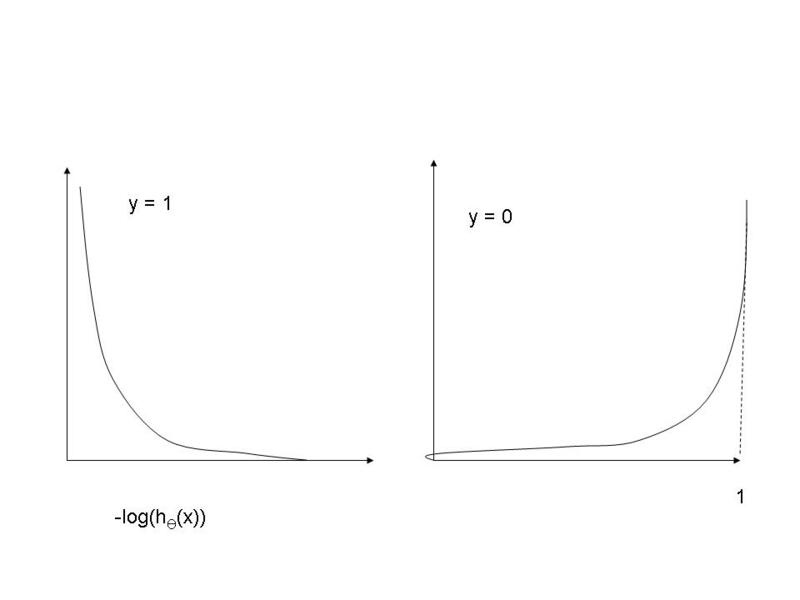 Alternatively we could fit a higher order curve to data. To evaluate whether the hypothesis function is able to map the input and related output accurately is known as the ‘cost function’. The cost function really calculates the ‘mean squared error’ of the actual data points (y) with the points on the hypothesis function (hƟ). Clearly higher the value of J(Ɵ) the greater is the error in predicting the output based on a set of input parameters. 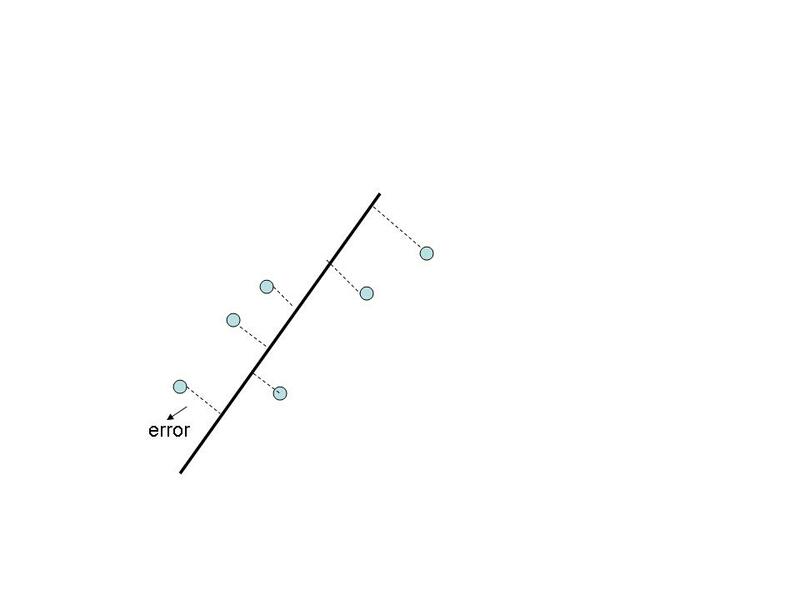 If we just took the error instead of the squared error then if there were data points on either side of the predicted line then the positive & negative errors could cancel out. Hence the approach is usually to take the mean of the squared error. The goal would be to minimize the error which will result in the best fit. Gradient descent starts by picking a random value for Ɵi. Then the algorithm looks around to search for the next combination that will take us down fastest. By continuing this process the local minima is determined. Gradient descent is based on the observation that if the multivariable function is defined and differentiable in a neighborhood of a point , then decreases fastest if one goes from in the direction of the negative gradient. This is shown in the below diagram taken from Wikipedia. 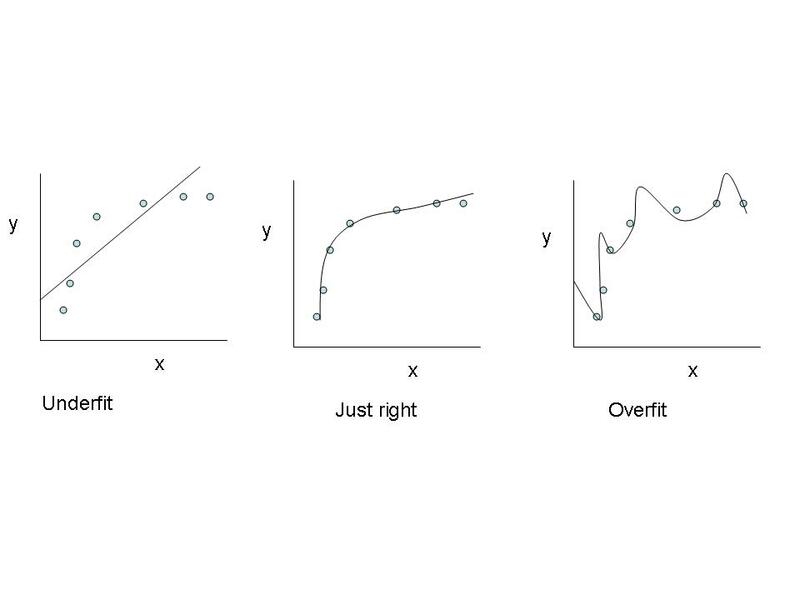 This how I think the gradient descent works. In the above diagram at point A the slope is +ve and taking the negative of the slope multiplied by the learning factor α and subtracting it from Ɵj will result in a value that is less than Ɵj. 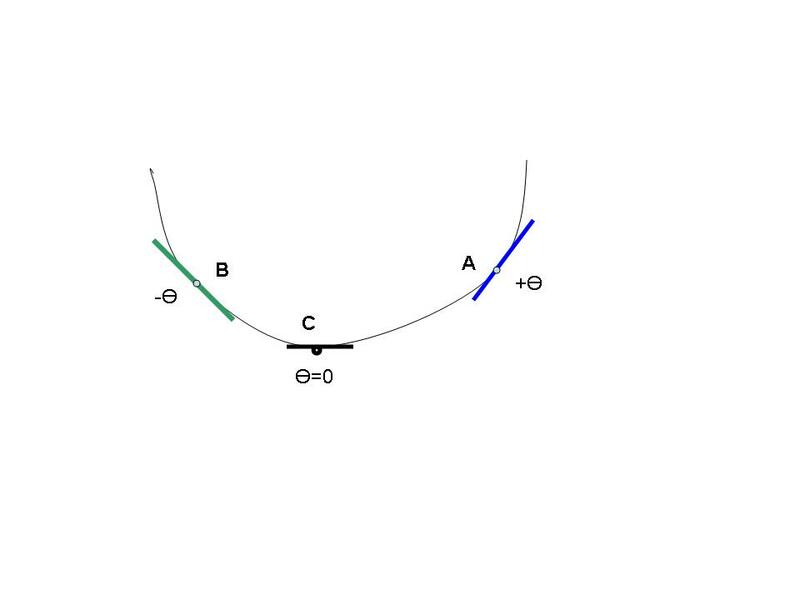 That is we move towards the minima or C. Similarly at point B the slope will be -ve. If we multiply by – α then we will add to Ɵj. Hence we will move to the right or towards point C.